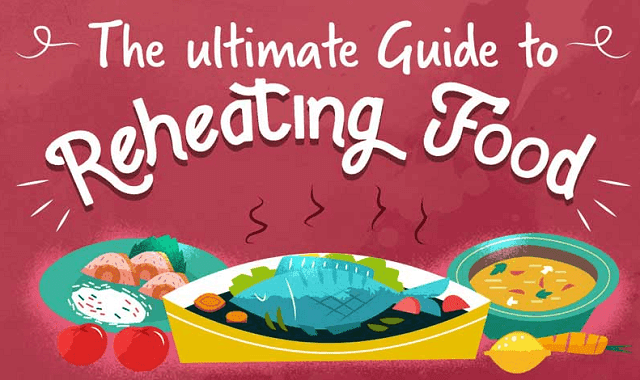 Ultimate Guide To Reheating Food #Infographic ~ Visualistan '+g+"
Life is busy, and we haven't always got time to knock up a home cooked meal every night. Saving and reheating leftovers is a great way to save time and enjoy delicious home cooked meals. The trick to keeping leftovers edible is by cooling, storing, freezing in the right way, as well as using the right approach to reheat your food for maximum flavor.